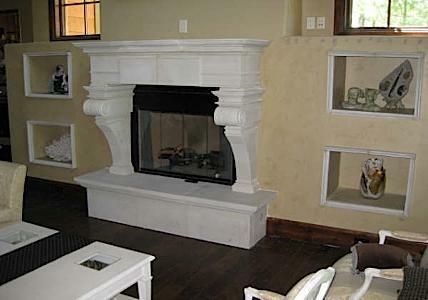 Change your fireplace from ordinary to exquisite, with our custom made natural stone fireplace surrounds. 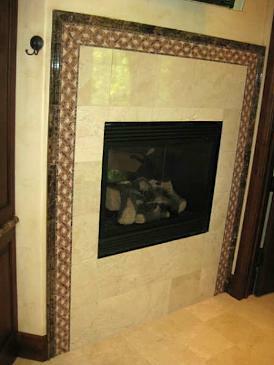 Custom made fireplace surrounds can change the look of your fireplace from ordinary to something that is exquisite. Marble surrounds can be designed to fit any style in your home or commercial space such as a reception area, waiting room or hotel lobby. 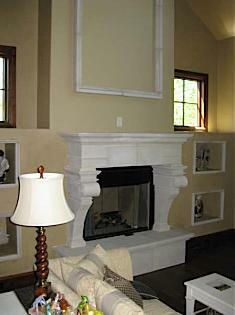 Below are just a few pictures of our professionally installed stone fireplaces. Natural stone surrounds can be used in conjunction with other materials such as wood, or cast iron depending on your decor. Every part of the fireplace is built to meet your size requirements. 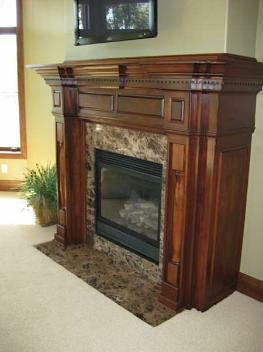 Hearth areas, the mantel shelves, legs, every part of the fireplace is custom made. Filler panels surround the actual firebox opening and cover the area between the mantel header, legs and the firebox. These are also custom built to meet your size requirements. 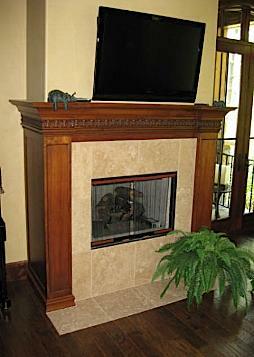 Call us for estimates if you're thinking about remodeling your fireplace area. Also, adding a beautiful natural stone fireplace to your new home can be a great addition and worth the investment.